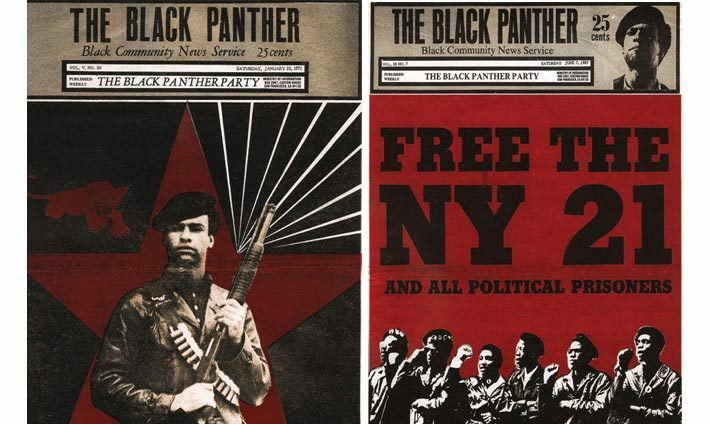 PROJECT: Images from the Black Panther archive of self-published newspapers were restored and then used to create products that raised funds for the Huey P. Newton Foundation. David Hilliard and Fredrika Newton started the Huey P. Newton Foundation to develop and sponsor cultural, historical and educational programs and institutions consistent with the theories and teaching of Huey Newton and ideology of the Black Panther Party. The images appear on the cover and inside The Black Panther by David Hilliard.